This is an interview by Nia with Koh Anto, Lee Soo Man’s childhood friend. Koh Anto was having lunch with Lee Soo Man and some SM Entertaiment management staff. Their arrival to Indonesia to had a vacation in Bali. And actually this is a secret mission and they wouldn’t be long in Indonesia. And they wanna check how many Super Junior fans in Indonesia, because he said that Sm Entertaiment got a lot of proposal from manya Indonesia EO who want Super Junior concert in Indonesia. They already survey for the concert location in Indonesia such as JITEC Mangga Dua Square, JIEXPO, etc. After that, Koh Anto told Lee Soo Man, that would be a new Indonesia boyband called S9B (Super 9 Boyz), which will debut next month. 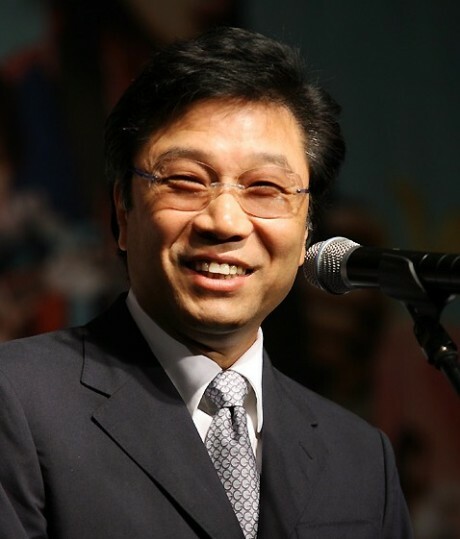 Lee Soo Man really sure with the S9B’s dancing and singing potention. FYI, S9B is a boyband with members who Super Junior fans. They said that they have a dream to meet all the Super Junior members. This entry was posted on March 27, 2011 by heedina. It was filed under Boy Band, Concert/Show, Interview, News and was tagged with Lee Soo Man, SM, sment, Super Junior, Super Junior M, Super Show.